1. THE MACA MUSEUM: This museum is housed in the city’s old est surviving civil building, in the baroque style it dates back to 1685. It houses an important collection of 20th century art mostly comprised of works donated by Eusebio Sempere. 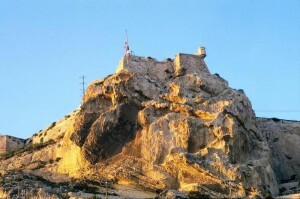 There are also works by Chillida, Picasso, Dali and Miró, among others. 2. 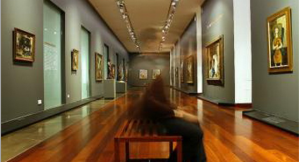 THE MUBAG MUSEUM: The Gravina Fine Arts Museum (MUBAG) opened its doors on the 14TH December 2001, offering the public, the main works of Alicantinian art from the 16th to the first decades of the 20th century. The aim is to re-create the social and cultural environment, which gave origin to Alicantinian art during the past 500years, more understandable. At the same time, it shows the environment of art throughout this long period. 3. 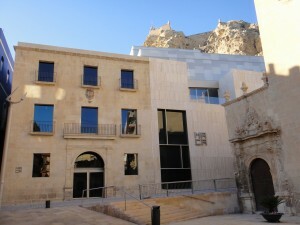 THE MUSEUM OF THE CITY OF ALICANTE (MUSA): The new Museum of the City of Alicante (MUSA) is located in the Santa Barbara castle and is divided into five rooms. The museum is complemented with a Renaissance well and a video room, which includes the projection about the “Space of pain” (dungeons). 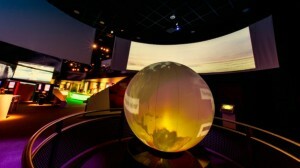 It is a highly attractive museum from historical, didactic and, at the same time, fun and spectacular points of view. It is a genuine 21st century museu m. The MARQ offers the possibility of discovering the archaeological method in different themed rooms: Field Archaeology Room, Urban Archaeology audiovisuals and interactive technology allowing the visitor to enter the past and to understand, in a attractive and didactic fashion our history. It also disposes of other rooms such as Archaeology and Science, Modern and Contemporary Culture Room, Middle Ages Room, Roman Culture Room, Iberian Culture Room and Prehistory. 5. FISH EXCHANGE: The building was built in the early 20th century. It is a project by civil engineer Mr. Pròspero Lafarge and it was ordered by the Port’s Board of Works. It is a fine example of historicist architecture integrating neo-Arabic ornamental details. 6. VOLVO OCEAN RACE MUSEUM: In the hearth of Alicante, the VolvoOceanRaceMuseum is a modern exhibition venue where visitors can enjoy an interactive installation that gives them a close-up look at the world of the sea, learning about the most intrepid sailors and experiencing the hidden delights of the Ocean.